So, what should go for, kettlebells or dumbbells? It is important to understand that both are effective tools to enhance your muscle strength and there are a variety of different ways you can use them. Read on to find out which option is better. While dumbbells don’t cost that much and can be used to define different muscle groups via strength training, they are weightlifting tools that can only be utilized to basic compounds exercises. For example, they can be used for bicep and tricep curls, tricep extensions, pec-flies, etc. When it comes to isolating a specific muscle or muscle groups, there is nothing better than a dumbbell. However, there aren't a lot of movements you can pull of using dumbbells. This is where kettlebells come in. Kettlebells are a bit on the expensive side. But they can be used for a variety of swinging motions and movements. They add a tremendous amount of flexibility and versatility to the workout. What does this mean? Well, this means you can use a single pair of kettlebells to burn fat and calories and use them as a tool for strength training. It is important to understand that kettlebells can tone and define your muscles as well as help you burn fat. You can check out various before and after images of athletes and celebrities who work out with kettlebells. They appear to have leaner muscles. When it comes to kettlebell vs. dumbbell, the former can primarily utilized for a diverse range of swinging motions and movements. You will not have to perform cardiovascular exercises. On top of that, kettlebell workouts also target the core, making it stronger and more conditioned. These are some of the reasons why many professional bodybuilders are adding kettlebell workouts to their regimen. Dumbbells are only effective if you are trying to tone your muscles. That is it. For a full body makeover, it is essential to add a degree of variety in your workout so the muscles don’t get used to the same movements. This is why kettlebells are so effective. While anyone can exercise using a dumbbell, using a kettlebell requires working with a training fitness expert. Sure, one could argue that dumbbells are designed to have smoother grips – and they do, but the fact is you cannot grip them any other way. Dumbbells allow you limited movements and motion when you work out. A kettlebell, on the other hand, has fixed with a single grip, which is smooth and gritty. It is designed with a handle that fits throughout the cannonball shape, going over it. This strange type of grip allows you to perform dynamic movements without injuring your wrist or forearm. For example, exercises such as Kettlebell Clean, Swings and Snatches are all wonderful exercises, but consist of ballistic motions not achievable with a dumbbell. Remember, dumbbells are designed for isolation movements and nothing more. When it comes to kettlebells vs. dumbbells, they are both basically designed to form a spherical shape – or they are just referred to as being round. But kettlebells are made with a weighted side that is spherical. 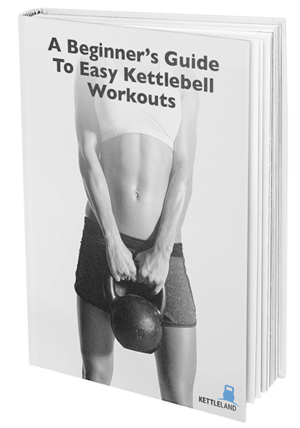 While you may be wondering why that is so, you will only realize the true potential of a kettlebell once you understand the plethora of exercises you can perform using them rather limiting yourself to using dumbbells. For instance, one of the best ways you can understand how to use a kettlebell is the Figure 8 regimen that is basically full of variations. This kettlebell exercise is common and is widely used. You have to stand straight with both feet apart, grab the kettlebell with one hand and just start passing the weight between your feet from your right hand to your left hand. You have to whip the kettlebell with your hands ensuring the weight goes around your front for which you will have to perform a snapping movement with your hips. The shape of the kettlebell is what makes the exercise doable. You can even add a degree of variation into it. You can squat with the kettlebell while pausing the Figure 8. In many different exercises, you may have to use the dumbbell in a dangerous movement or position, risking a debilitating injury or a torn tendon or muscle tissue. Why? Well, that is because there aren't a lot of ways you can grip a dumbbell without straining your wrist. The best part about a kettlebell is the fact it is designed to offset the total weight. This, combined with a big spherical shape and the gritty handle, enables the user to maintain a whole variety of grips to perform different motions. For example, you can hold a kettlebell in a pistol grip, the rack position, gripping the side of the handle, palm grip, etc. One of the best reasons to use a kettlebell over a dumbbell is the fact that kettlebells are designed with a weight that offsets its handle. Their weight is unbalanced unlike a dumbbell that weighs the same end to end. The kettlebell handle is lighter than the round weight beneath it. What this essentially does is enable the user to perform a variety of drills as well as grip the kettlebells in different variations. This unbalanced factor is what makes a kettlebell so easy to use and functional. So, these are all the reasons why you should use a kettlebell. These tools are helpful when it comes to toning muscles and burning fat at the same time.